As the nation pays tribute to the 2,335 non-combatant servicemen killed during the Pearl Harbor attack 77 years ago today, it continues to grieve over the death of former President George H.W. 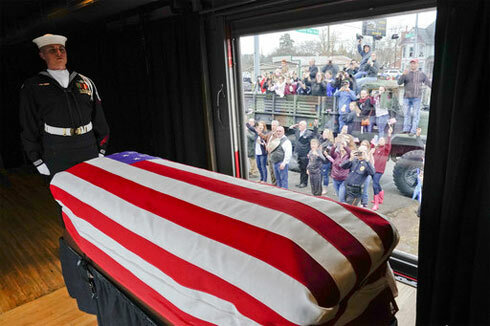 Bush who was buried yesterday in Texas after a 70-mile train ride to his presidential library and museum. 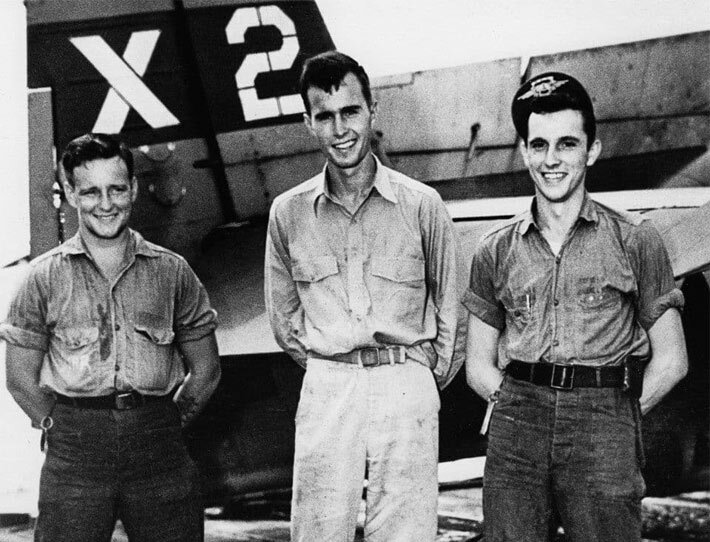 Bush, who leaves a kinder, gentler political legacy, also leaves behind memories of his heroic actions during World War ll when he was shot down on an early morning mission to attack a Japanese radio tower on the island of Chichi Jima when he was one of the Navy’s youngest aviators. During a Sept. 2, 1944 mission, Bush and his two-man crew flew out to attack a radio tower on the tiny island 700 miles south of Tokyo in their Avenger bomber. His plane was hit by anti-aircraft fire at about 8,000 feet and caught fire. But he finished his dive, dropping his 500-pound bombs and obliterating the tower and its communications facilities. He ordered his radio operator and gunner, neither of whom he could see from his cockpit to “hit the silk,” an order to jump out of the plane and deploy their silk parachute. Historical records identify that he received no communications from them, but he was heard on the radio by crewmen in other U.S. planes on the mission. It was later found that one of the crew members was able to bail out, but his parachute didn’t open. Their bodies were never recovered. At about 3,000 feet Bush bailed out and hit his head on the plane’s tail. Another aircraft dived to signal the location of his life raft, which he was able to swim to while bleeding and throwing up from gulping in seawater, and then he began paddling away from Chichi Jima as Japanese gunboats headed his way. About two hours later the periscope of the submarine USS Finback appeared. “Welcome aboard, sir,” a sailor said as Bush was hauled on deck while the sub’s photographic officer recorded the scene on his 8mm camera.